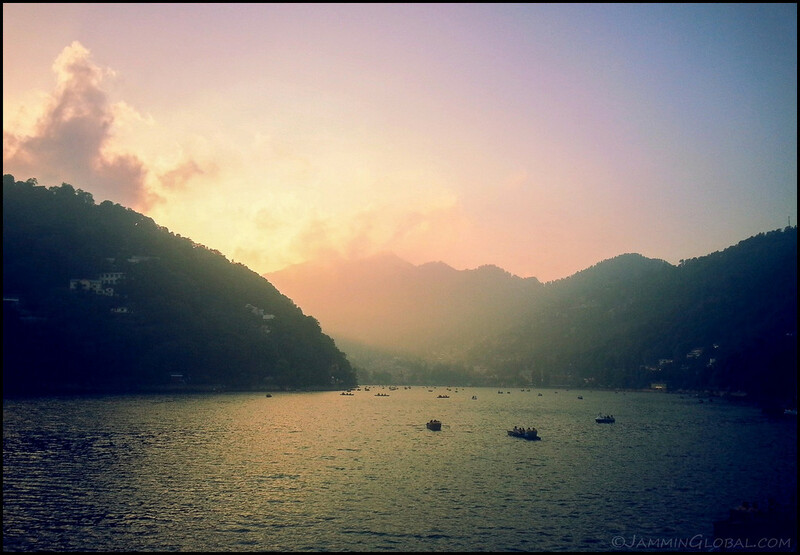 Snapshot: Naini Lake at Sunset, Finally Into The Himalayas! I was riding around town, which is busy with summer tourists, and a biker came up to me and introduced himself as Akshay, a member of a superbike club in Delhi and promptly invited me to stay with him in his cozy flat. A fun evening walking through the markets and then having some beer and chicken tikka by the lake.